After I visited the Terwillegar location, I said that I would not go to an Original Joe's again unless it was for a social or business event. Well it so happened that someone from work suggested this place for lunch, so I gave this chain another try. 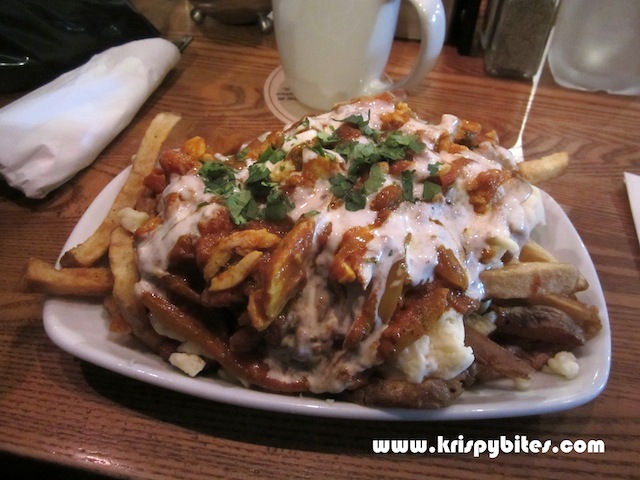 I ordered the butter chicken poutine ($12.49) and was not impressed. The first few bites were alright, but the richness and oiliness were just too overwhelming after a while. The butter chicken was coarse with grainy sauce, and combined with a copious amount of heavy sour cream, made this dish impossible to finish. I felt like I was eating pure fat and the thought of that alone made me sick to my stomach. I've been known to have poutine for a meal and I've tried a lot of poutines from fast food joints like New York Fries, KFC, A&W to specialty stores like La Belle Patate. This was the first time I didn't even manage to finish half of the dish. I tried to force myself to eat more because I didn't want to be hungry later, but in the end I only finished about one fifth. I took a bit of someone else's jalapeno mac & cheese ($9) and thought it was delicious, possibly only in comparison to the poutine. So to confirm its tastiness, I visited the Terwillegar location again and ordered it. The dish was indeed quite good as a comfort food, especially with piquant pieces of jalapeno pepper mixed in. I have a feeling this is one of those dishes I'll have a sudden craving for. 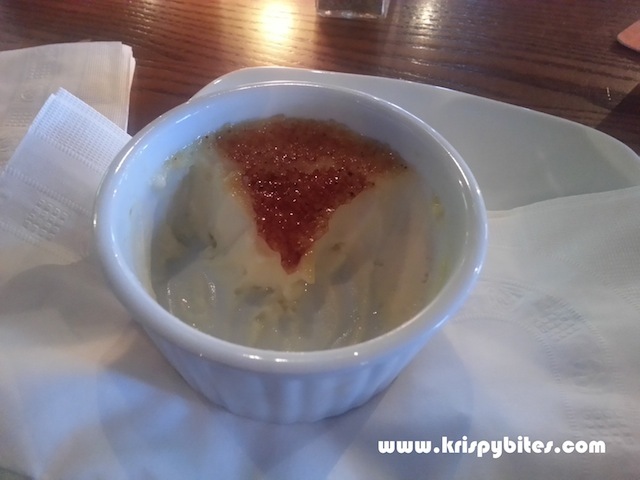 I also ordered dessert — a creamy creme brulee ($4.50) made from scratch. I was actually very happy with this sweet treat. So happy that I forgot to take a picture until I was almost done eating. The egg yolk, the fresh cream, and a hint of vanilla blended together perfectly, topped with a thin caramelized sugar crust. The silky smooth custard was still slightly warm from the torching. It was one of the best creme brulees I've had in recent times. 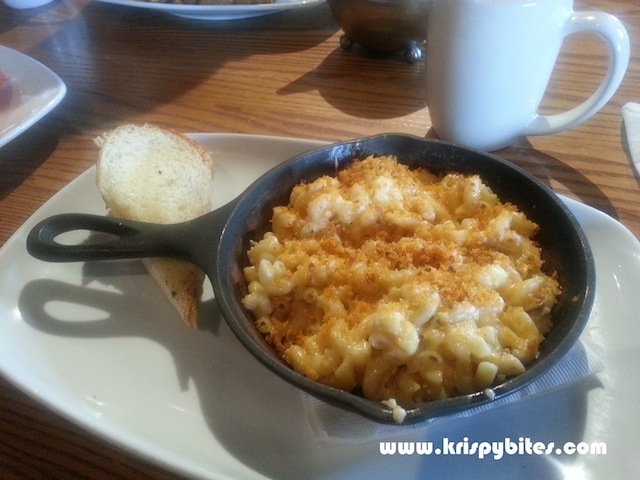 While I still don't have faith in this chain restaurant, I have at least discovered two dishes that I'm happy with — the jalapeno mac & cheese and the creme brulee.